There are two different methods of performing hair restoration, one is called a strip hair transplant, also known as Follicular Unit Transplantation (FUT) and the other is called Follicular Unit Extraction (FUE). This page is dedicated to the Follicular Unit Transplantation (FUT). After one session of hair transplant. 2083 grafts placed in the hairline and midscalp. Procedure preformed by Dr Sean Behnam. The strip hair transplant (FUT) procedure is one of the most popular cosmetic surgeries performed. Simply, a strip of tissue is removed from the back of the scalp. The individual hair follicles are then dissected and replanted in areas where the patient desires hair. Hair can be placed on the top of the head, the eyebrows, or even the beard and mustache areas. It was discovered back in the 1950′s that the hair on the back of the scalp does not have the receptors for the hormones that attack and shrink hair, thus these hairs can be used as donor hairs and will last forever and not fall out. This is why hair transplant works and the hairs that are transplanted are permanent. After one hair transplant session of 2,256 grafts placed. Procedure performed by Dr. Sean Behnam. Dr. Sean Behnam has a simple philosophy, “perform honest good work, and try to achieve the best results possible.” He performs only one hair transplant a day in order make sure that nothing is rushed and performs his best. He also follows every patient very carefully and provides his personal cell phone number so he can be reached at all times. 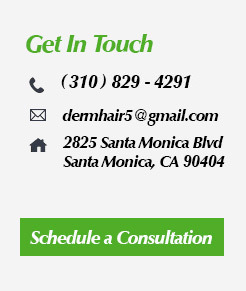 It is this philosophy that over the past many years, he has been able to perfect the strip procedure to minimize the scarring in the back of the scalp, the downtime and achieve great result. Please see FAQ below for details. There are over 400 steps in a hair transplant procedure, and Dr. Sean pays attention to all of them. Since he follows every patient so carefully, he has received continuous feedback as what areas require improvement. Every time, he modified his practice and procedures to provide a relaxing day, while being able to maximize grafts and minimize downtime. Though density that can be created is limited, a person with dense donor hair should be able to achieve good coverage from hair transplant. Often patients are afraid of having a wide scar from a strip hair transplant procedure. Dr. Behnam implemented techniques that leave the smallest scar possible. Each patient who is scheduled for a strip procedure is required to do a scalp stretching exercise to increase the laxity of the scalp. Increased laxity enables Dr. Behnam to close the area with minimal tension. Double layer closure, internal dissolving sutures with external staples ensure that the area is secured. Also, he uses the trichophytic closure that causes hair to grow into the scar. All of this combined enables most of Dr. Behnam’s strip patients to wear their hair as short as a half of an inch without the scar being noticeable. Patients with sparse donor areas may have to wear it longer. Over 1,800 grafts placed in the hairline in one session. results after one year. Performed by Dr. Sean Behnam MD. Patients who shave the sides and back of the head or wear it shorter than a half of an inch should have an F.U.E. (Follicle Unit Extraction) procedure. The F.U.E. procedure leaves more dispersed, less visible scarring. The strip and the F.U.E. procedures use the same method of implantation. The advantages of the strip procedure is in the number of grafts that can be extracted in a single procedure. A patient who has good donor density can often get twice as many grafts as could have been extracted using the F.U.E. method. Also, the strip procedure is less expensive. For current prices, please see our cost page.